Waterloo Railway Station is famous for many things, like the great number of passengers that use its services daily or for its perfect central location, but also for the popular meeting point chosen by hundreds of people: the four-faced clock in the middle of the main concourse. This represents an old tradition and it is still used, especially during the rush hour traffic. On the weekends, most of the passengers use its Victory Arch passing and go near the River Thames or head towards a country or a coast fun weekend. In case you are a traveller that has planned to visit London in the nearby future and you have chosen Gatwick Airport’s services, we have selected below some of the most important airport transfers means that can take you to Waterloo Railway Station area. They are suitable for each pocket and needs. 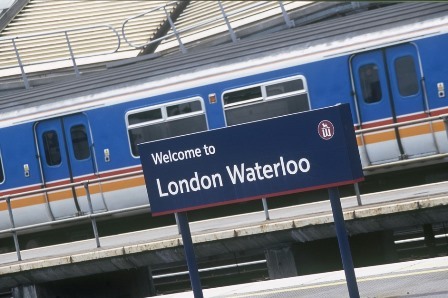 Once you have arrived, make sure to also dedicate a day or two and see what great things can Waterloo Railway Station area offer you. The entertainment means are not few, so I would recommend you to try the following places: BFI IMAX Cinema (1 Charlie Chaplin Walk, South Bank), The Vaults, Arch 233 (10 Leake Street, SE1) and The Slug And Lettuce (County Hall, 5 Chicheley Street, South Bank). You will definitely find a suitable movie, show, exhibition, cuisine or concert, not to mention the fact that they are located at a walking distance from Waterloo Railway Station area. Of course, there are many other interesting activities that you can do in this central part of London. Museums, theaters, a number of good restaurants, fun pubs and bars, great collections and also shop, markets and boutiques will occupy all of your free time in the most pleasant way. In order to get a Gatwick to Waterloo Railway Station Transfer by rail, you have the train from Gatwick Airport, Gatwick North (every 5 minutes) via Gatwick Airport (every 15 minutes), Clapham Junction (every 10 minutes) and then just have a 2 minute walk. This whole journey takes about 42 minutes. Another option would be to take the bus from North Terminal Bus Station (every 10 minutes) via West Kensington, Empress State (every 60 minutes) and then the train from Green Park Underground Station (every 5 minutes) and finally enjoy a short walk of 2 minutes. This journey will take about 1 hour and 39 minutes. A Gatwick to Waterloo Station Transfer by car can be done by taking the M23 motorway and then the A23 one. Gatwick Airport is at a 26.9 miles distance from Waterloo Railway Station. This journey will take about 50 minutes, without including traffic. A Gatwick to Waterloo Station Transfer with 247 Gatwick Airport Transfer is going to take about 1 hour and 19 minutes, including rush hour traffic. The price for a Gatwick to Waterloo Station Transfer starts from 56 GBP.